Everyone knows Winnie-the-Pooh, right? That’s what I thought. I was mistaken. As is the case whenever a book is made into a movie, certain elements are bound to be lost in adaptation. For instance, Milne’s wonderful capitalizations of places and things. And persons. But Milne’s Pooh and Disney’s Pooh have a continuously growing gap, since the original shorts from the 60’s and 70’s (they were compiled in 1977 and released as The Many Adventures of Winnie-the-Pooh) and to make things simpler on myself, this will be my main point of reference, so I don’t have to go into the more modernized features, series’, spin-offs, etc. Because it all turns to dreck pretty quick. As far as the books go, I’m talking about Winnie-the-Pooh and House at Pooh Corner (fun fact: Tigger isn’t in Winnie-the-Pooh. He doesn’t show up until the second chapter of House at Pooh Corner). This is the point that bothers me most. In the books, Rabbit is my favorite character. He’s generally very stoic and well-mannered, but has little idiosyncrasies and if he sees something that he can’t make sense of (which is very rare), then he’ll burst into a short rant before composing himself and carrying on with whatever it was he was doing. He’s also by far the most intelligent character in the books, can actually write proper paragraphs with impeccable spelling (unlike Owl), and tends to be resourceful. In the books, when Pooh’s gluttony gets him stuck in the rabbit hole, Rabbit sees it as an opportunity to use Pooh’s legs to hang his washing. Disney’s Rabbit is always screaming, always upset with another character, and a general annoyance to the story. While the Rabbit from the books likes to be in charge and enjoys making a good list, he’s not the nagging control freak that Disney makes him out to be. I admit, I’m biased. I must confess, I find this character to be highly relatable in the book. I’m that screwed up. There’s a fairly fucked up chapter in Winnie-the-Pooh (which also happens to be my favorite), in which Rabbit becomes quite disturbed by the fact that Kanga carries Roo in a pocket, and that she comes with a pocket at all. See, in the books this is one of those rare times we actually see Rabbit upset. That’s what makes it funny. Rabbit’s solution is that he, aided by Pooh and Piglet, kidnap Roo, thus sending Kanga into a panic, causing her to leave the forest when they return Roo to her. It doesn’t quite work out that way. Kanga realizes what has happened pretty immediately and decides to play a trick of her own. Unfortunately, the brunt of the payback falls on Piglet, who was most resistant of the plan to begin with, while Rabbit discovers that Roo is good fun to play with. To get the full story you should really just read it (“Chapter VII, In Which Kanga and Baby Roo Come to the Forest and Piglet has a Bath”). It’s gold. Disney made Kanga uber-dull. She doesn’t do anything other than putter around, being maternal. And there’s nothing wrong with being maternal, she is in the book too, but the film sucked all the prankster energy out of her. As far as Many Adventures goes, Kanga is a.) barely in it and b.) we don’t really mind, because she’s kinda boring. And they often draw her eyes without pupils which makes her look less intelligent. This fundamentally changes the entire meaning of the story. Now we all know what happens at the end of the Winnie-the-Pooh books. 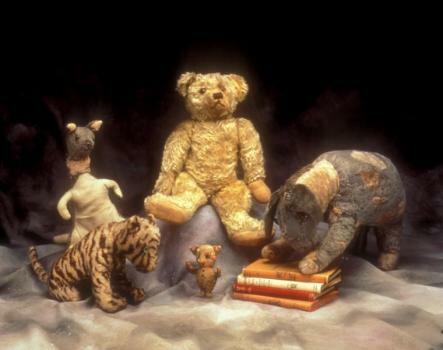 The stories stopped, because Christopher Robin grew up. No more stories about Pooh. There’s a really excellent scene between Timothy Hutton and Natalie Portman in a film called Beautiful Girls that explains it really well. I highly recommend looking that up. 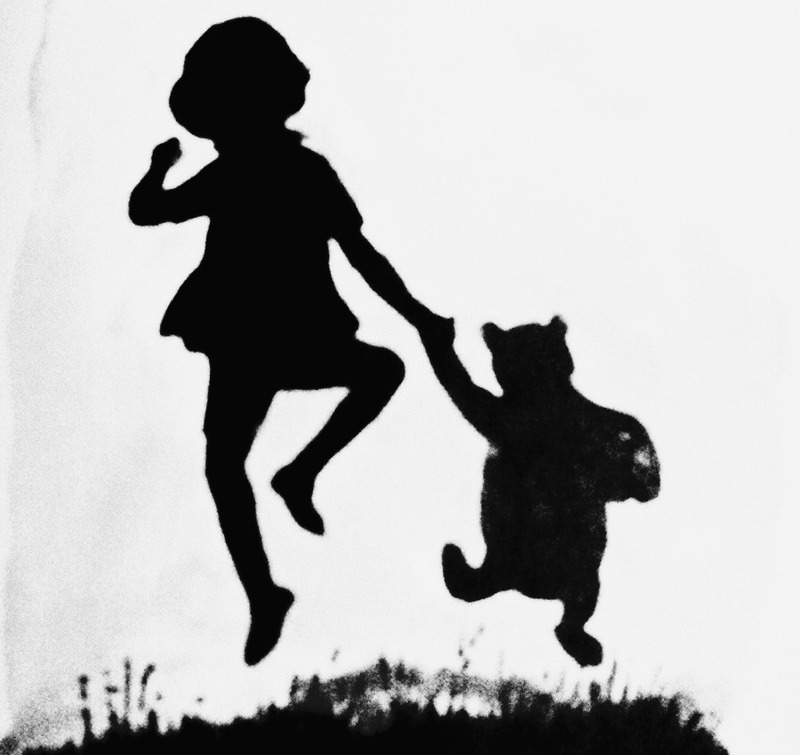 So, yes, at the end, Christopher Robin leaves Winnie-the-Pooh. But there’s a very important distinction between the last line of the book and movie. The movie basically says that Pooh is waiting for CR alone at the Enchanted Place and will have to wait there forever because he’s never coming back. The book is saying the opposite. The underlying message is that no, reality is not that Enchanted Place. Rather that the Enchanted Place is magical, a time capsule, where Pooh and CR will always be preserved, a little boy and his bear, always playing. There is no loneliness or sadness or waiting. If you like the films, then continue to like the films. I don’t intend to take anything away from anyone, but if you haven’t read the books, please please please please do. And try your best not to envision the characters from the films. They’re their own thing. This entry was posted in literature and tagged disney, eeyore, kanga, milne, owl, piglet, pooh, rabbit, roo, tigger, winnie-the-poh. Bookmark the permalink.